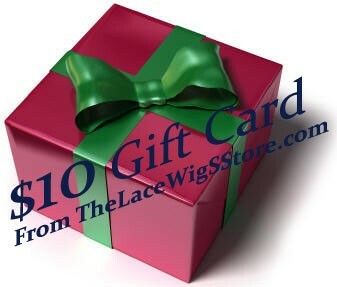 The Lace Wigs Store would like to thank and reward you for referring your friends, family and colleagues. Please fill out the form below, If you have referred someone in the past, present or plan to in the future that has or will purchase a lace wig. 5 referrals = FREE wig! Your referral must purchase a lace wig. You cannot claim a referral that has already been claimed by someone else. Monetary or free lace wigs will be shipped out of our location in 5-10 business days. Gift Cards are valid for one year from the issue date. You do not have to refer 5 people at once to get a free lace wig, we will calculate your referrals as we receive them. Once you have reached your fifth referral, a consultant will contact you to discuss the details of your free gift. Upon the fifth referral you will receive a FREE in stock Indian Remy lace front wig.